Try this experiment in judging structure and breed type. Is what you SEE what you get or, like this judge, can you FEEL the coat, structure, bone, balance, head planes? A long time ago, my mentor (my sister) introduced me to her mentor Dwyer Duncan of Duncan Borzois. Dwyer had lost most of his eyesight but he still had exceptional sense of touch. He could stand a dog on a picnic table, go over it bone by bone, and quote the pedigree with remarkable accuracy. My own breed, Poodles, are referred to as the Picture Breed and indeed they are. But they are so glamorous as to appear artificial in the breed ring and misleading to the judge’s eye. I am a groomer. I can take a lot of coat and create an optical illusion that will fool the eye into seeing what is not there. A judge’s hands may find the faults but when they step away and look and watch the dog move, the eye may well forget what the hands felt. For a fun way to test this, have someone put a few dogs on a table for you to judge but do it blindfolded. Record your assessment of the dog as you go over it. Cell phones are great for recording video and/or sound. 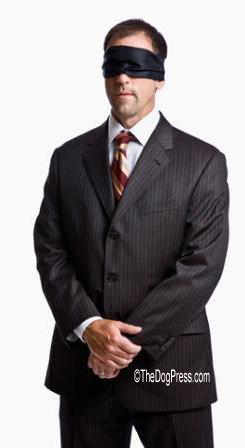 You can use the "memo" or "email" function or you can have someone hold a digital recorder close (or take notes) as you verbalize your findings while judging with your HANDS. Do several dogs. It matters not the breed or if you even know the breed. Just examine the dog and record what you feel. Then have someone bring the same dogs back to you when you are not blindfolded. They should not be in the same order as you previously examined them. 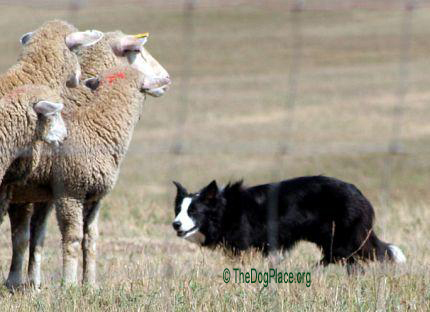 Now go over them again and critique them as you gait and assess each dog. Now compare your blindfolded notes or videos. I suspect that your blindfolded results will be honest and true insofar as what you can feel bone by bone. But when you add in the ability to SEE the dog you are suddenly emotionally and sight-involved. You can see the dog’s eyes and the love and sparkle in temperament. You can see perhaps flowing hair you want to put your hands in. Perhaps the dog is so lovely you want to kiss that wet nose. Now WATCH the dog move and maybe you will be disappointed in that what you felt in the bone structure doesn’t give you the movement you expected. Or maybe the exact opposite. Maybe the dog can move far better than the pieces and parts should allow it to move. Maybe that dog has ATTITUDE to burn and says HEY LOOK at ME!!!! What I am getting at is that as breeders or as judges, we cannot allow emotional involvement in a particular dog to color our judgment. Nor can it shade our judgment regarding the impact this dog might have on the breed in the future or in our breeding program today. Who of us births a pup and says at 1 minute of age, “This dog will be the Key in pedigrees way into the future” or “This dog will become the bottle neck of health issues 30 years from now”??? We must accept our strengths and our weaknesses and breed accordingly, keeping in our minds all the time that pieces, parts, attitude, temperament and coat do not a total dog make. *Editor's Note* Vickie is now a Reiki Master. 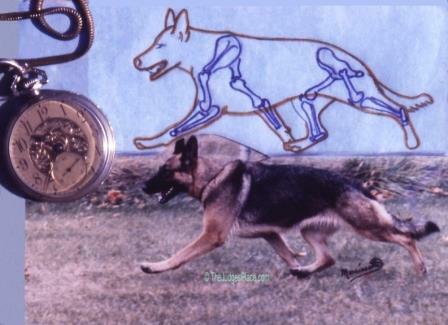 AKC/Int'l judge, says not just GSDs, short-legged dogs can achieve too. AKC judge explains how the dog’s front and rear angulation dictates movement. 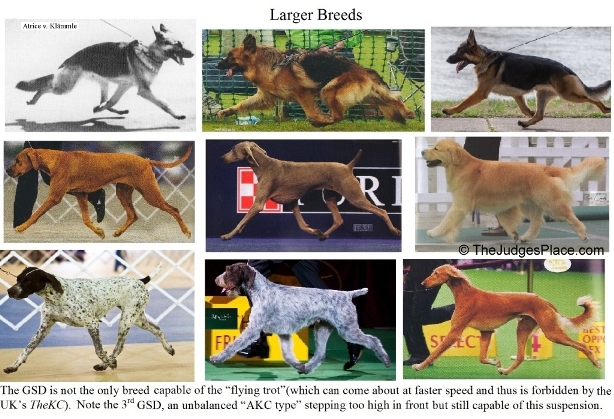 AKC/Int'l judge, gives movement analysis for judges and breeders.